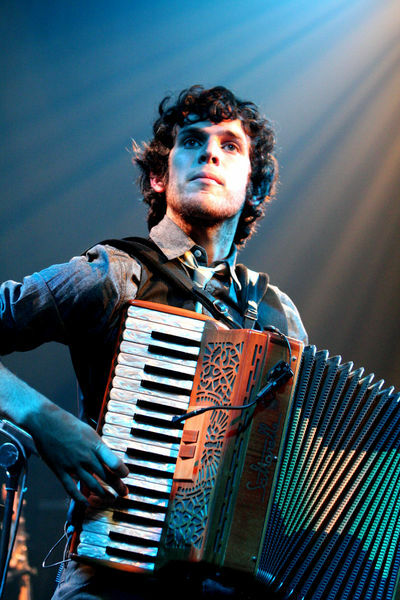 Jamie Smith's Mabon’s music is well described as Original, Interceltic, World Music. 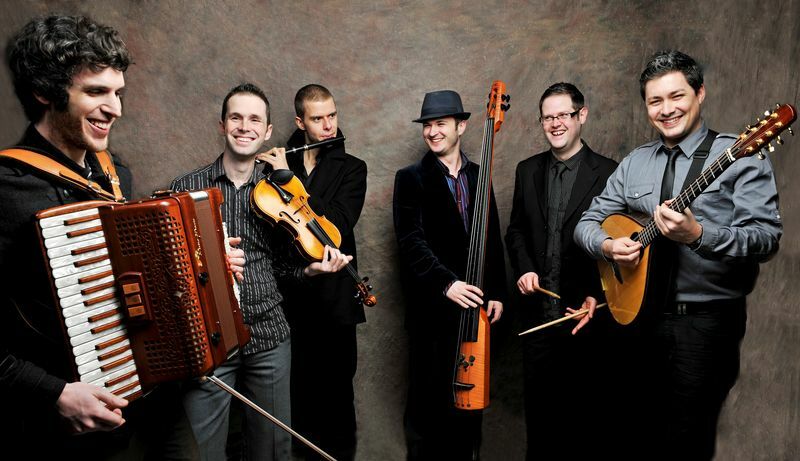 Composed by frontman Jamie Smith, and brought to life by six highly accomplished musicians, it draws inspiration directly from the traditional folk music of the Celtic countries. This is not Welsh music, nor Scottish or Irish; this is Interceltic music, a true exploration of forms and styles found in Celtic music and their forging into something bold and new. Jamie’s ambitious compositions are founded on a deep knowledge of folk dance music and a creative instinct and imagination, inspired, yet unfettered by the constraints of tradition. His passion and understanding of folk tunes is prevalent throughout JSM’s sound, from the choosing of material down to the minute, ornamental variations and nuances that give the tunes their authentic character. They reformed as Jamie Smith’s Mabon (JSM) at the start of 2011 with new band member Adam Rhodes bringing bouzouki to the band’s soundscape for the first time. The remaining band members are all familiar faces from the former Mabon line up – Brittany-based Young Scottish Musician of the Year finalist Calum Stewart on wooden flute and pipes ; stand-out, in-demand fiddler Oli Wilson-Dickson, Cardiff’s Matt “The Hat” Downer on bass and the Vale of Glamorgan’s irrepressible Iolo Whelan on drums and percussion. While Mabon gained its class act reputation as an instrumental band, JSM marks a new departure, weaving some songs, penned by Smith, into the set –including the aptly named Yes We Sing Now(!) as well as some exciting shifts in style and sound. But it is Smith’s inspired, eclectic tunes that continue to dominate the material that delves into every Celtic corner – from their native Wales to Brittany, Scotland, Ireland, Galicia and beyond. The South Wales-based musician’s prolific and imaginative compositions take audiences on a magical whistle-stop Euro tour with jigs and reels jostling for space alongside other dance-related forms including Breton an dro, French mazurka, Galician muinera and even shades of klezmer in an exuberant, feelgood show. His rising reputation saw him invited to a “Young People in the Performing Arts” reception and celebration at Buckingham Palace in May, given by the Queen. Along with around 500 other guests, including some famous faces, Jamie briefly met the Queen and joined her at a special orchestral concert inspired by Romeo and Juliet, featuring Dame Kiri Te Kanawa, Joe McElderry, Rumer, street dancers Flawless and rapper Ironik. The concert also included ballet and scenes acted out from Shakespeare's famous play. 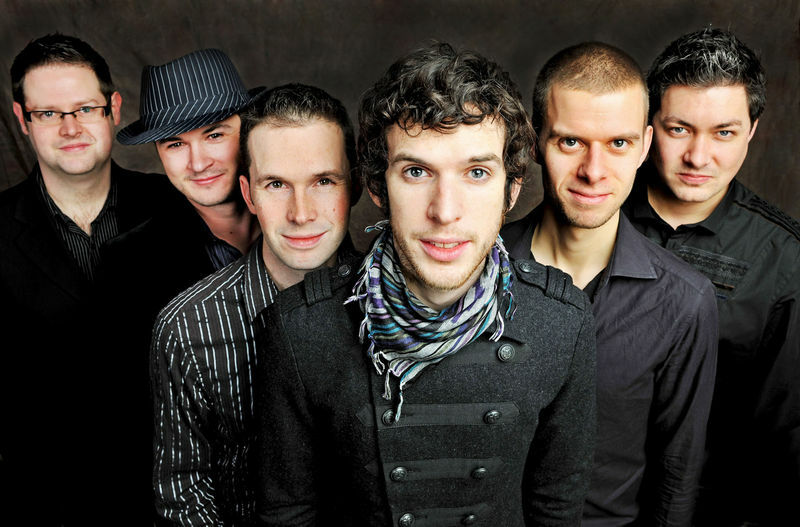 The former Mabon scooped the Best Instrumental Album of 2010 title (for "Live at the Grand Pavilion") in the 2011 Spiral Awards, run by top music website Spiral Earth – an album that captures all the energy and pizzazz of their acclaimed live show and includes a free bonus DVD. As Mabon, the band has been privileged to perform concerts and festivals in countries all over the world. They have toured annually in Brittany and Italy and also visited Poland, Galicia, Asturias, Ireland, Belgium, Canada and Australia. Back in the U.K. they already have a long list of appearances behind them at festivals such as Cambridge, Sidmouth, Larmer Tree, Towersey, Warwick, Fylde, Brampton Live, and a memorable headline appearance at the Llangollen International Eisteddfod, playing to a seated audience of 1,500 people. In the Autumn of 2009 the band embarked on its first major U.K. tour, taking in theatres and arts centres in Wales, England, Jersey, Isle of Man and Isle of Wight. The tour was a huge success, with twenty-six shows in thirty-two days and substantial press, radio and television coverage including performances for itv Wales and S4C. The band followed up with two shorter tours in the spring and autumn of 2010. Huge festival appearances in the same year included Fairport's Cropredy Convention and Festival Interceltique de Lorient in Brittany, as well as a prestigious showcase at the WOMEX world music trade fair in Copenhagen. The original Mabon has three studio albums on release – Ridiculous Thinkers (2004), OK Pewter (2007) and Live at the Grand Pavilion (2010) – and has sold over 12,000 cds worldwide, receiving critical acclaim from magazines and publications such as fRoots, Songlines, Living Tradition, Rock ‘n’ Reel and Irish Music Magazine. Radio credits include The Mike Harding Show on BBC2 and BBC3's World on 3. The latest release, Live at the Grand Pavilion, was recorded on the OK UK Tour 2009 and includes a CD (recorded live at the Grand Pavilion, Porthcawl) and a bonus DVD (filmed live at Quay Arts Centre, Isle of Wight). It features new tracks such as The Tale of Nikolai, The Dancing Bear and The Buck Rarebit, as well as older favourites such as Easy on the Reels and File Under Biddley. Jamie Smith's Mabon played Womad at Charlton Park at the BBC Radio 3 Stage on Sunday 29th July at 4pm on 2011. "Original InterCeltic music from Jamie Smith's Mabon: 'Windblown' is the dynamic new album featuring their well-loved instrumental arrangements alongside new and beautifully crafted vocal tracks. 'Windblown', the crisp new 10-track studio album from Jamie Smith's Mabon, sees Wales' finest purveyors of original, InterCeltic music celebrate the autumn equinox after which the band is named. Following on from Mabon's award-winning Live at the Grand Pavilion, 'Windblown' is a coming of age album from a young band of virtuoso musicians spearheaded by composer and accordion maestro Jamie Smith. Already established as "a mighty instrumental force" (The Independent), the band also unveils songs for the first time, including the aptly named Yes We Sing Now and the haunting Welsh-language track Caru Pum Merch (Loving Five Girls). These songs take the band's well-loved sound into new dimensions, but stay in the same ethos - reaching into contemporary soundscapes but still firmly rooted in their Celtic heritage. From slick songs to joyful jigs, graceful mazurka to ecstatic muiñera, 'Windblown' is an emotional journey, an expression of joyful musicality: an autumn storm of youthful energy balanced by a mature restraint - taking Jamie Smith's Mabon on to a brand new page of their ever developing story." Live CD and DVD in one package - winner of "Best Instrumental album of 2010" in the Spiral Awards 2011 - this album showcases the original Mabon line-up at their peak. Debut album of Jamie Smith's Mabon, Windblown is released on 29th Ocotber 2012 on the Easy on the Record label.